SSL certificates are keys and signatures that are used to encrypt content transmitted on websites. Therefore, the acquisition of certificates requires an effective and secure process. The Let's Encrypt DV certificate generation process first requires an ACME client to perform domain name verification and obtain a certificate. 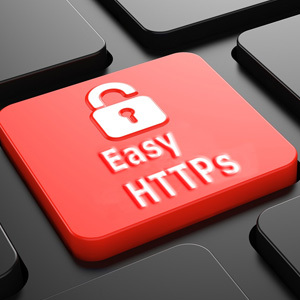 Easy HTTPs are constantly updated ACME clients. Currently, Acmev1 and Acmev2 are supported, and applications for wildcard certificates are supported. 7) After the certificate expires, the certificate is updated and redeployed (Let's Encrypt certificate expires in 90 days and needs to be regenerated and replaced after expiration). 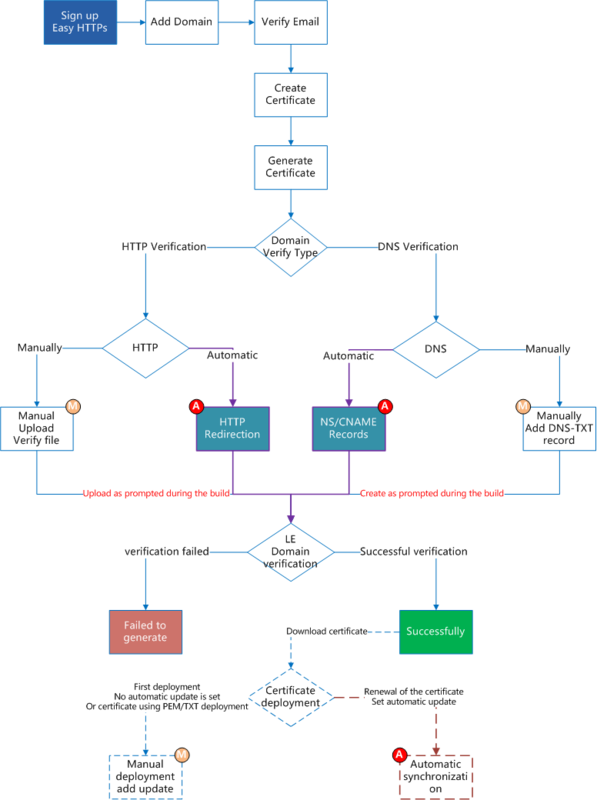 In order to make it easier for you to understand the complete flow of the certificate, we specifically set up a Let's Encrypt certificate generation flow chart, as shown below, for reference.